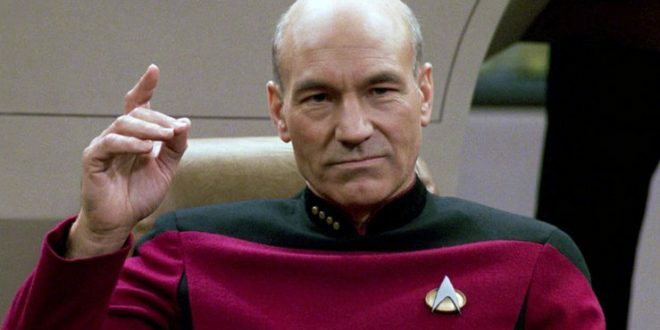 Patrick Stewart To Return To TV As Jean-Luc Picard - Joe.My.God. Star Trek producers revealed Saturday that Patrick Stewart will reprise the role of Star Trek: The Next Generation captain Jean-Luc Picard on the franchise’s new series. The actor is also set to serve as executive producer on the series, which will air – like Star Trek Discovery – on CBS’ video-on-demand service All Access beginning in the fall of 2019. Stewart portrayed the fan-beloved Picard during Star Trek: The Next Generation‘s original television run from 1987 to 1994; the series’ crew also starred in four feature films, with Picard last appearing in 2002’s Star Trek: Nemesis. The announcement was made yesterday afternoon at Star Trek convention in Las Vegas where Stewart spoke to the audience. Video below.